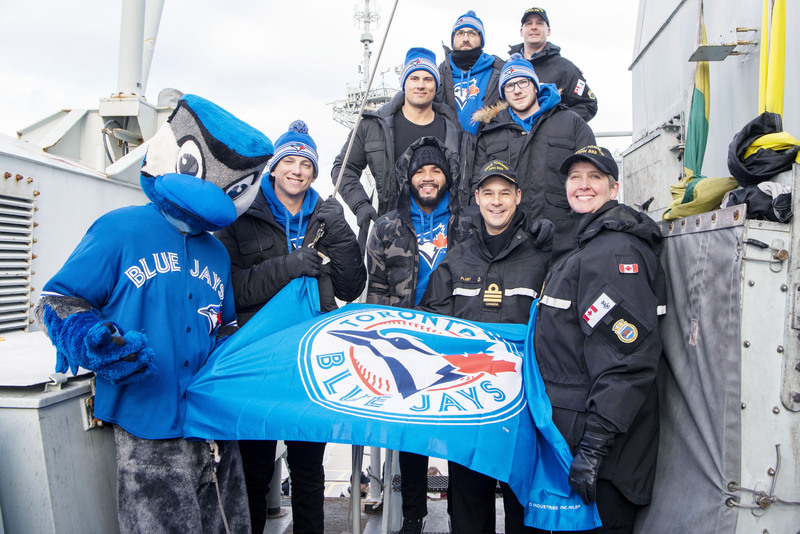 Members of the Toronto Blue Jays, together with team mascot Ace, visited CFB Halifax as part of their Winter Tour on Saturday, January 12. 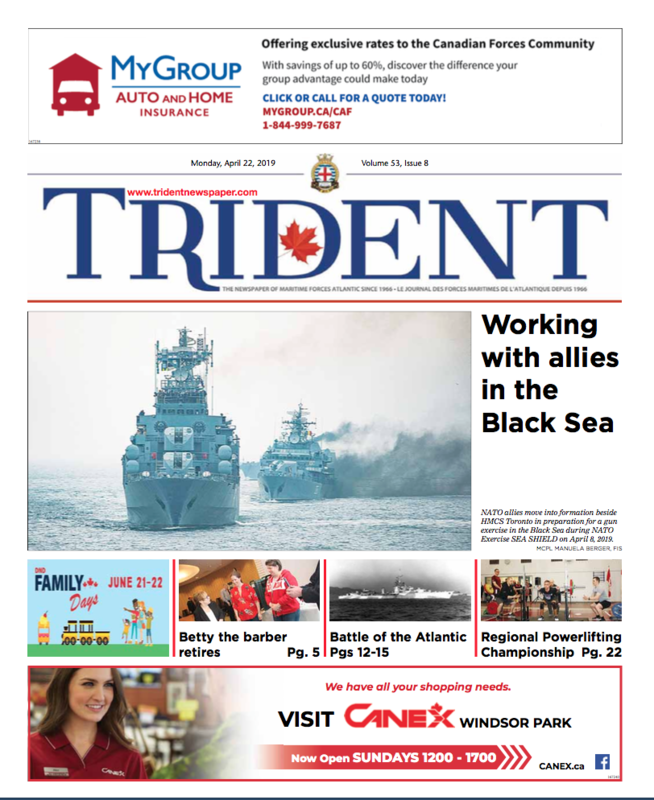 During their time in the city, the mascot and the players found time to visit HMC Ships Toronto and St. John’s, as well as to see an Army display at HMCS Scotian. Here, the team members and HMCS Toronto’s Command Team display the Blue Jays’ pennant. 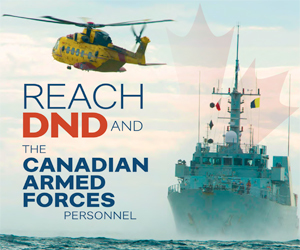 From left: Ace, Toronto Blue Jays Mascot; Ryan Borucki (Player); Devon Travis (Player); Cdr Martin Fluet, Commanding Officer; CPO1 Alena Mondelli, Coxswain; 2nd row, Luke Maile (Player); Dan Jansen (Player); back row: Kevin Pillar (Player) and LCdr Matthew Woodburn, Executive Officer.